AREi Paint Services is a highly respected painting company that prides itself in the highest levels of interior & exterior finishes. AREi has established an impeccable reputation with its clients who demand the very best when it comes to craftsmanship and customer service. This is evidenced by the fact AREi has been awarded the "Houzz Best Of" award for customer service for the past 3-years in succession. AREi is also the paint company of choice with some of the Detroit areas most prominent interior designers and luxury custom home builders. Swag Paper is the first line of luxury self adhesive temporary wallpaper panels that are hand-crafted, printed-to-order and custom cut to fit the size of your space. Swag Paper is repositionable, removable and reusable, and made specifically as a DIY product. Our patterns and designs are 100% created and manufactured in the U.S.A. and follow current and unique design trends. We incorporate a combination of vibrant colors, gradients and faux finishes as a revival to the modern day wallpaper. Our collections include our original Swag Paper line, Swag Tots and our Vintage Map Murals. 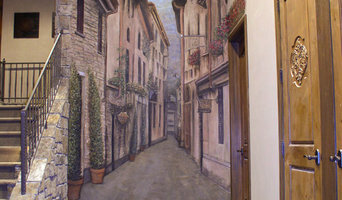 I am a faux finish and mural artist based in Rochester, Michigan. I'm passionate about my work, I've been completely dedicated to it since 1990, and I continue to take courses with the leading faux finishing product manufacturers to keep up with the hottest trends, new techniques and the latest technology. So when you meet with me to discuss your home or business, you can be sure it will be given the attention it deserves. My color and conceptual cosultations are always free, and I always provide free estimates. Before beginning any project, I offer custom hand painted samples in your colors to ensure that you are completely satisfied with the direction of the project before I begin. For over a decade including 10,000 successful installations worldwide, Rhino Shield has pioneered the development and installation of ceramic elastomeric wall coating technology. Rhino Shield breaks the perpetual exterior painting cycle with its proprietary and revolutionary ceramic coating system hence our slogan “Never Paint Again!” Read on to learn more about the amazing advantages Rhino Shield coating system can offer your home or business. Each project is backed by our 25 yr guarantee! Aarons Maintenance is a locally owned and operated that values honesty and integrity in all aspects of our business and stands behind our work. We specialize in a variety of home improvement and home repair projects. Our services are customized to the individual project, paying close attention to the details of each project that we're involved with. We look forward to building long term relationships with our clients and guarantee your satisfaction! Decorating Ideas is a one-stop shop for anything paint, wallpaper, or blind related. We're proud to deliver the kind of specialized attention and help that you simply won't find in larger chain stores. Greg and Anne Switzer, owners of Decorating Ideas, invite you to visit the showroom on Dougall Ave in Windsor, Ontario. Being in the paint business for over 30 years, we have always tried to provide the best possible experience for our customers, many of whom have become like family. As an independently owned store, you’ll experience a level of service you thought no longer existed while supporting your local community. Our store professionals are trained specialists and can help you with in-store colour consultation, window treatment consultation and installation and provide professional referrals for your project. Our product selection includes: Benjamin Moore® coatings Farrow & Ball Paint and Paper Hunter Douglas Blinds Fusion Mineral Paints Renner Wood Coatings Goudey Wood Finishes Saman Wood Finishes Wallcoverings Blinds & Shutters For more than a decade, we have been proud to have Robin Wellings as part of our team. Being in the paint industry her entire working life, she has acquired invaluable skills that help to satisfy the needs of our customers with superior advice and knowledge. As the store manager, she has also become the go-to person for colour matching paint and stain. Our support staff consists of Allison and Hannah, both of whom we were fortunate to acquire through the Interior Design program at St. Clair College. Allison has completed the program, and has put her knowledge to work with in-store colour consultation and social media management. 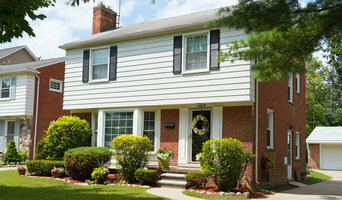 Decorating Ideas is proud to serve homeowners and professionals in Windsor, Detroit-Metro area, and Essex Kent County. Embodying the creative and innovative spirit of Detroit, we are an independent studio that designs and produces customizable wallpaper. Create fresh new colorways on our website in real time to effortlessly coordinate our papers with your space . Professional Custom interior and exterior painting and staining. Open 7 days a week, 365 days a year! Franks Wallpaper Removal is third generation, family owned. We specialize in wallpaper removing, painting and drywall repair. We are fully bonded and insured and come with over 75 years of satisfied customers. Please feel free to contact us for a free estimate. If you're looking for high quality and personal service, you've come to the right place. 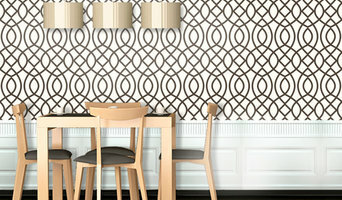 At Michigan Wallpaper Removal we'll give you the attention and personal service you’ll come to expect and enjoy. Fabulous Finishes Ecommerce Store offers Custom Decorative Faux Paint and Plaster Finishes for Woodwork, Furniture and Cabinets servicing Metro Detroit Michigan. We are also have teaching videos online,, and fully stock a variety of specialty paints including American Paint Co. Chalk & Clay Paint, Caromal Colours, Reclaim Beyond, Botanicals. Denise has turned her talent and love of art and design into creating stunning custom wall and ceiling finishes that become the focal point of her client’s space. She specializes in several techniques that are sure to make an exclusive statement that is uniquely yours. 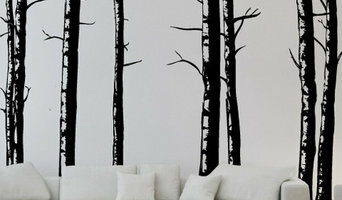 These methods can also adorn frames, furniture, cupboards, ceramic tile, mirrors, wood, counter tops, canvas and glass. Each project is done by hand using various tools such as trowels and brushes. Her portfolio of applications include resin epoxy applications, decorative wall painting, textures, foil, 30 different colored combinations of glass beads, over 75 different colors of metallic plasters, mica, faux wood, stains, grass cloth, strie and more. Each technique is truly a work of art. Denise’s clientele values her ability to work with them in creating a truly unique space. With styles ranging from modern, rustic, shabby chic, mid-century, classic and contemporary, just about anything you can imagine can be achieved. Her trained eye is exceptional when it comes to selecting the perfect colors and texture to bring it all together and complement the other features of the room. Denise’s professional approach and execution of a project is second to none. Paint and wall covering contractors are experts in the specs, application and removal of paint, wallpaper and other wall coverings. 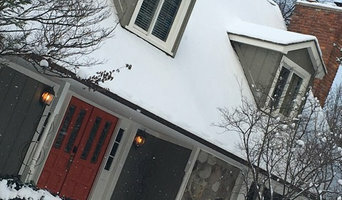 They can help you choose the paint color and finish, wallpaper style or specialty covering that best suits the needs of your Novi, MI home, whether the job is for the interior or exterior. In addition, they can strip off old paint or paper and prepare surfaces through sanding, skim coating and other processes. Many can handle decorative paint treatments and materials such as plaster. A paint and wall covering contractor might work closely with Novi, MI interior designers, builders and others, too. Here are some related professionals and vendors to complement the work of paint & wall covering dealers: Interior Designers & Decorators, Artists & Artisans, Window Treatments, Carpet Dealers. Find a paint and wall covering contractor on Houzz. Narrow your search in the Professionals section of the website to Novi, MI paint and wall coverings. You can also look through Novi, MI photos to find examples of paint jobs and wall coverings that you like, then contact the professional who worked on them.